Exceptional single level custom home, new construction, sited on 10 treed acres in The Highlands at Broken Top. This contemporary NW style design has all living on the main level, plus a partially completed basement (potential theater & wine cellar). The open, vaulted great room plan includes a grand entry, 2 master suites, a 3rd suite and a den. The home has many features including a tile roof and cedar siding, beautiful hardwood floors and timbers, custom cabinets, high end kitchen appliances, quartz and granite hard surfaces, designer tile work, 6 solar tubes in kitchen and hallways, and much more! Over 1000 sq ft in the covered patios and courtyard provide ample outdoor living choices. Fenced, landscaped areas along the rear and side of the home. Oversized heated 3 car garage with shop area and lots of storage. 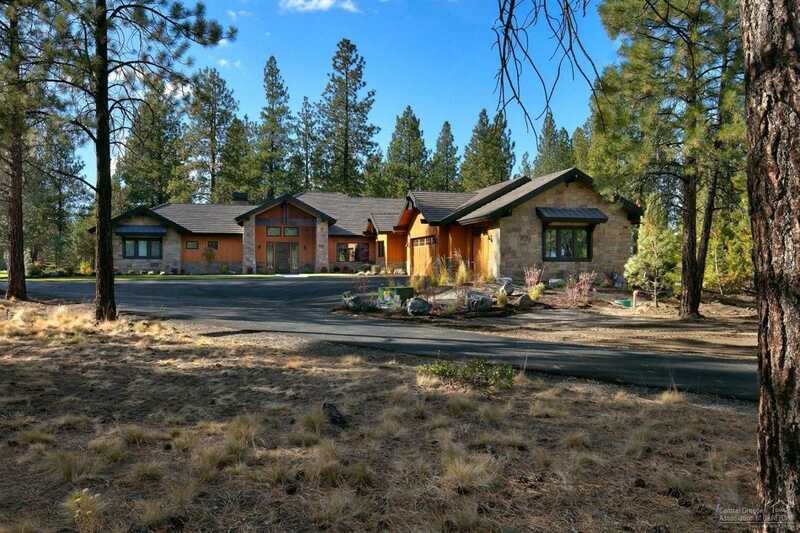 Fantastic location in one of Bend’s premier gated communities, close to schools, golf, Phil’s Trailhead & the Deschutes National Forest, only a few miles from downtown Bend. Please, send me more information on this property: MLS# 201710217 – $3,380,000 – 18870 Macalpine Loop, Bend, OR 97702. I would like to schedule a private showing for this property: MLS# 201710217 – $3,380,000 – 18870 Macalpine Loop, Bend, OR 97702.